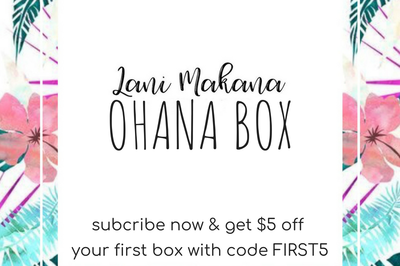 Enter your email address below to receive a notification when Lani Makana starts accepting new sign-ups! 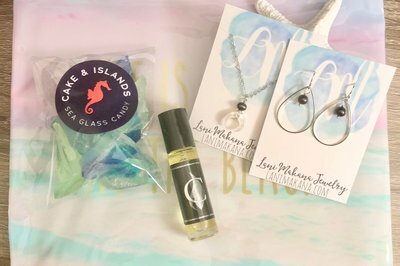 Enter your email address below to receive a notification when Lani Makana is accepting new sign-ups again. 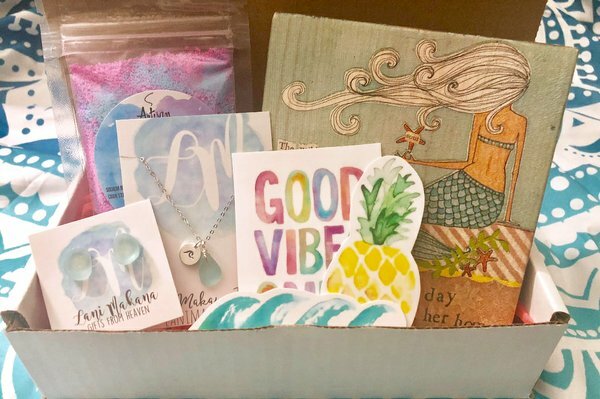 Get $5 off your first box with code FIRST5! 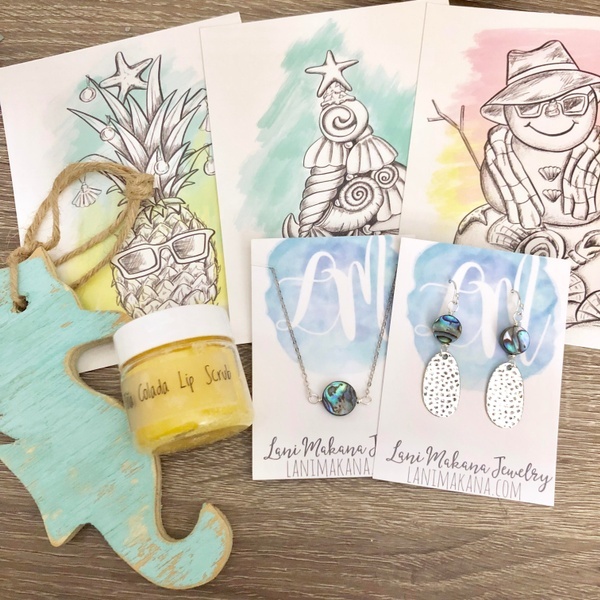 NOW TAKING SUBSCRIPTIONS FOR OUR APRIL BOX! Our bi-monthly boxes ship between the 10th-15th of every other month. (Boxes are scheduled in the months of February, April, June, August, October, and December). 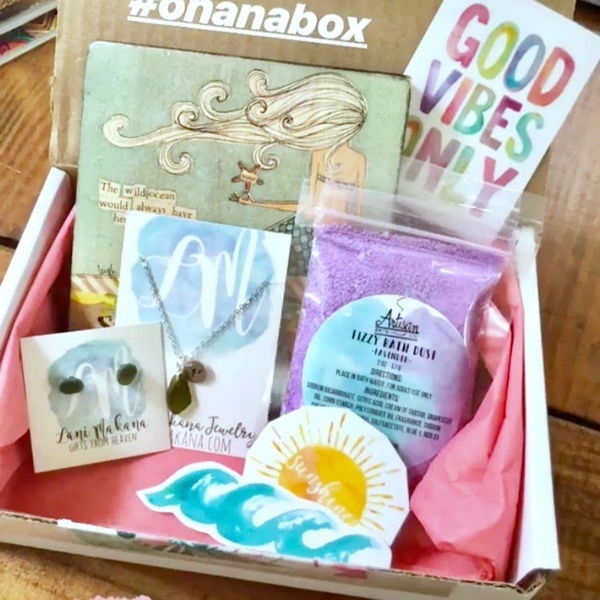 Ohana Box - a beach vacation in every box! I just received my box today and everything was well packaged and very pretty. The necklace and earrings are my favorite, and well made. They came in a canvas bag that can be reused, or to store them in when not in use. 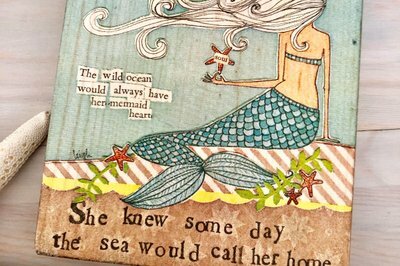 The sign block is a beautiful decor piece, and the bath fizz smells amazing! The stickers are unique and a great addition. I'm so excited for the next box. Thank you so much for offering this box, it's perfect. 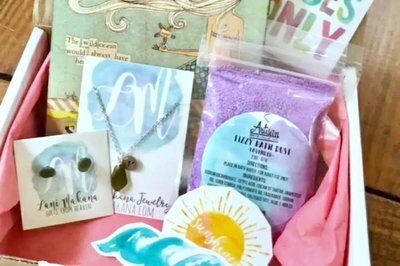 The August box featured a gorgeous sea glass jewelry set, a whimsical mermaid sign, yummy mermaid bath dust and a set of fun vinyl stickers! 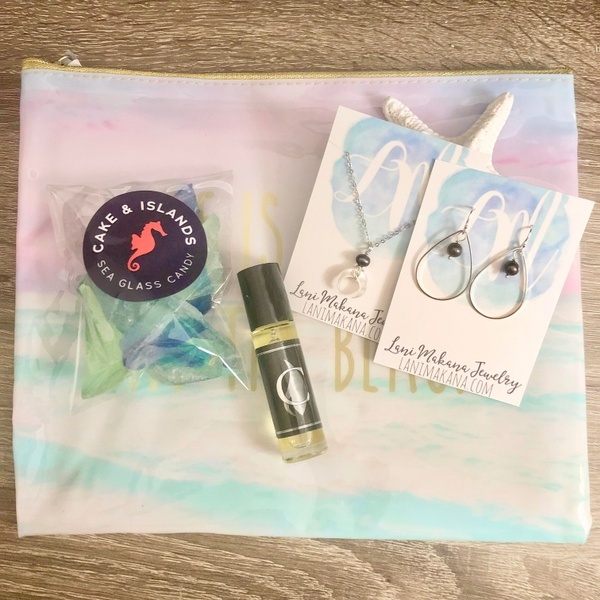 The October box featured a fun waterproof beach bag, a tropical scented perfume, a black pearl jewelry set and a bag of sea glass candy! The December box features a set of three beach Christmas cards, a rustic seahorse ornament, a yummy lip scrub, and an abalone jewelry set.